Ubisoft has released Mario + Rabbids Kingdom Battle: Ultra Challenge Pack DLC. 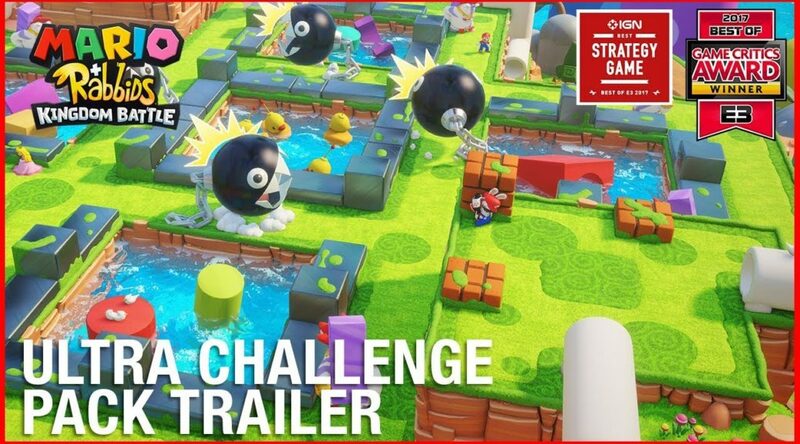 Contained within the DLC are 8 new “Ultra Hard” Challenges and a new co-op campaign, which is composed by 5 exclusive co-op maps featuring Chain Chomps, Tornados, Boos and Pyroclasts. The DLC is now available on Nintendo Switch, players who have purchased the season pass for $19.99 can download it immediately while the rest can get it for $6.99.